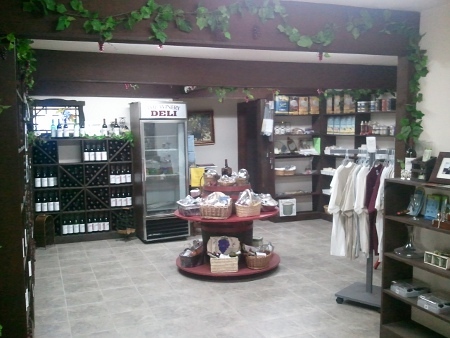 Whatever your taste preference, we vint a fine assortment of wines and juices from locally grown grapes. We won our first award in the Eastern Wine Competition in New York in 1982 with our Cynthiana Wine. There were over 700 wines entered. Six Gold Medals and fifty-one silver medals were awarded. We received a silver medal. We have also won awards and medals in Arkansas, Indiana, and Tennessee. In 1997 our Blueberry Wine was selected to be offered to the official wine taster for Queen Elizabeth II. 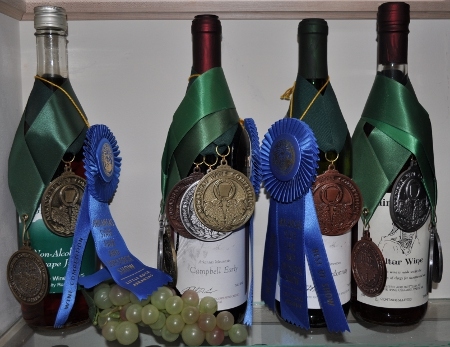 Our Robert's Port Wine--a gold medal winner 100 times over--is recognized as outstanding by all who taste it and has even done well in European competitions. It was the Grand Champion at the 2017 Arkansas State Fair. We have won hundreds of awards for our wine. When you come to visit us, you are welcome to enjoy any four of our wines listed below for free. If you want to keep your tasting glass--just pay $3.00. Below you will find a list of wines we currently sell. Click here for a list of locations where you may purchase our fine wine. Receive 10% off when you buy a case of wine, or 20% off 36 or more bottles! Note: We do not ship wine; however, our wine can be found in these locations! "Your '81 Cynthiana, which I've just tasted, is without a doubt the best wine in Arkansas...Your wine could be discovered as the great American wine of an American Grape." "Cowie's Arkansas Cynthiana: dark red, great full bouquet, soft velvety taste." "I never would have thought I'd be rhapsodizing about a dessert wine from Paris, Arkansas, but there you are. If the bed and breakfasts and museum are as good as Robert's Port, I'll have to make my way out there for a visit before long." We do not ship wine; however, our wine can be found in these locations.